Vitamin B12 actives your body’s natural energy levels. 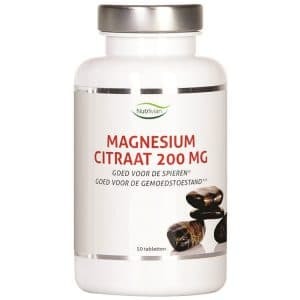 It also plays an important role in activating certain enzymes involved in the body’s metabolism. 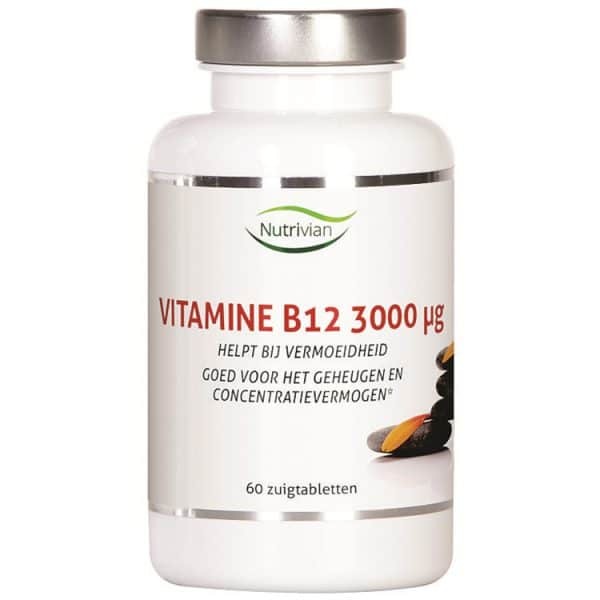 Below, you will find information on what Nutrivian Vitamin B12 can do for you. Vitamin B12 helps to combat fatigue and has been shown to improve your memory. 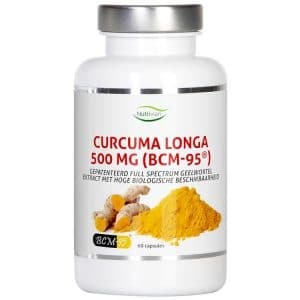 It also enhances the formation of new nerve cells and red blood cells, improves overall concentration, supports the immune system, and is beneficial to a variety of cognitive and psychological functions. Each Nutrivian Vitamin B12 Methylcarbylamine 3000 µg contains 3mg vitamin B12 in its most active form (methylcobalamin) per lozenge. 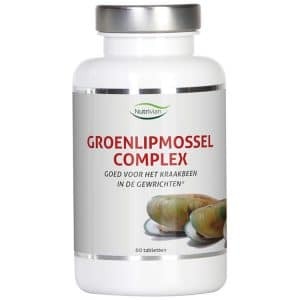 This form is immediately effective and is absorbed by the mucosal membranes of the mouth. Vitamin B12 is mainly found in animal products such as fish, meat, and eggs. Many dietary supplements contain vitamin B12 in the form of either cyanocobalamin or hydroxocobalamin: these inactive forms are disadvantageous because the body needs to convert them before they can be absorbed and processed. 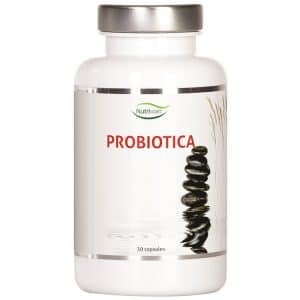 Many people have a so-called intrinsic factor that prevents this conversion, but having disturbed intestinal flora or an insufficient production of stomach acid/digestive enzymes may also have this effect. Excipients such as isomalt, silicon dioxide, cottonseed oil, talc, and magnesium stearate have been added to further enhance the lozenges’ effects. We recommend taking 1 lozenge a day, preferably during, or after a meal. Your questions and feedback are very important to us. Feel free to get in touch using our contact form.